Halloween is now a huge international and commercial holiday. 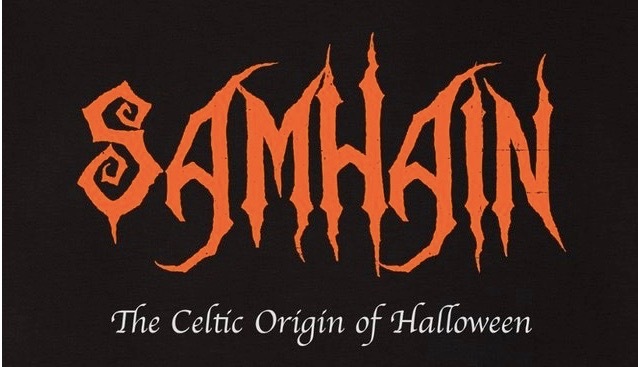 But did you know it has its origins as a millennias-old Celtic festival called Samhain? 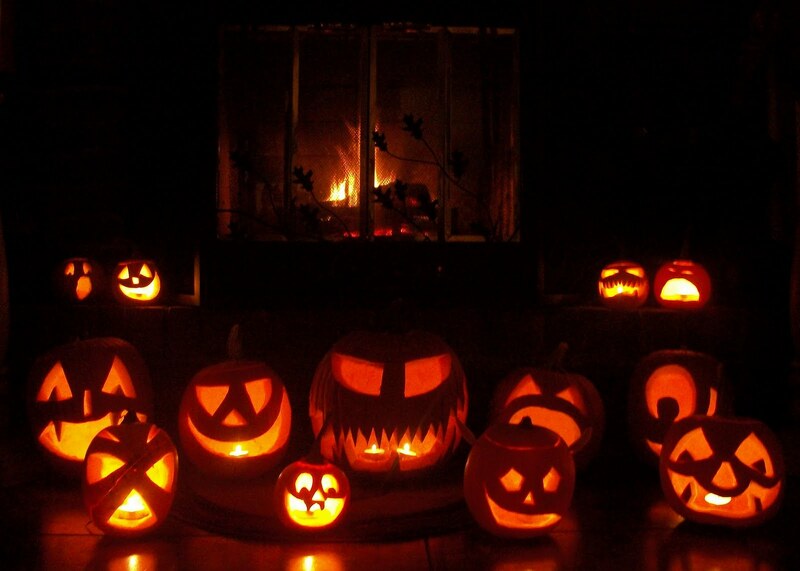 The festival of Samhain marked the end of the harvest and also the start of winter, with its long nights. The importance of this time has been recognised since pre-Christian times and many of the great Irish tales and legends happen at this period. The Mound of the Hostages, a Neolithic passage tomb at the Hill of Tara, is aligned with the Samhain sunrise. Traditionally, Samhain is celebrated from sunset on 31 October to sunset on 1 November, which is about halfway between the autumn equinox and the winter solstice. It was celebrated with large ceremonial bonfires that were deemed to have protective and cleansing powers. Offerings of food and drink were left for them. The souls of the dead were also thought to revisit their homes. Feasts were had, at which the souls of dead kin were beckoned to attend and a place set at the table for them. Mumming and guising were part of the festival, and involved people going door-to-door in costume (or in disguise), often reciting verses in exchange for food. The costumes may have been a way of imitating, or disguising oneself from, the Aos Sí. Divination rituals were also a big part of the festival and often involved nuts and apples. In the late 19th century, Sir John Rhys and Sir James Frazer suggested that it was the “Celtic New Year”, and this view has been repeated by some other scholars. Despite the introduction of Christianity in the 3rd Century many of the old Celtic traditions, beliefs and festivals survived. Samhain was one of these. However as it did with other pagan events the Christian church re-labelled them. 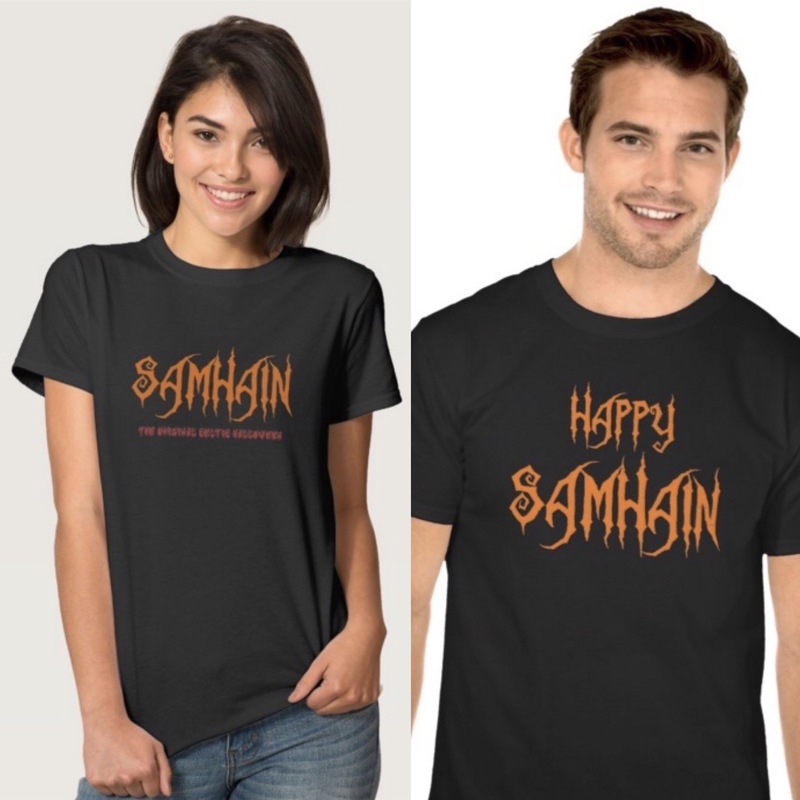 In this case Samhain became All-Saints Day. The festivities continued as did the belief of spirits coming to out world. But the overt pagan meaning was watered down as Hallows Eve. The festival continued to be celebrated through the 20th century. But it became a worldwide festival after the Famine. When the Famine struck Ireland in the mid-19th century the country was still overwhelmingly a peasant country. 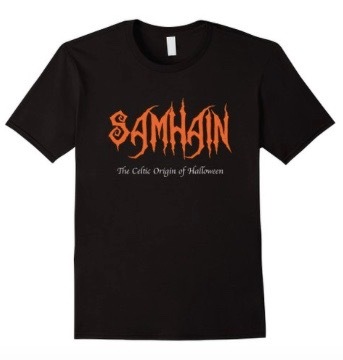 Samhain was still a very important date. When the millions of survivors went to America they took the festival with them. But in the new, largely urban, land the meaning altered a little more. Hallows Eve became Halloween. The link to the spirits and their ability to enter our world was retained and to it was added other creatures such as Witches and Goblins. The old Irish Jack-O-Lantern to be carved turnip and became a pumpkin. And as the holiday became commercialised the rictus grimace became a smiling face. Today Halloween as a major commercial event and party has spread back from America to Ireland and the rest of the world. The links to its past are known by few of the revellers. 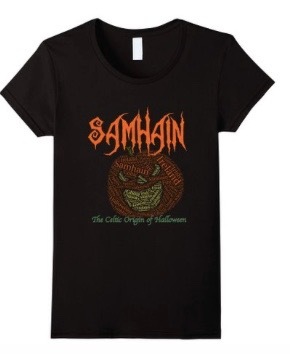 We have produced a range of Samhain T-shirts that link the original festival to Halloween.